This week, the Republican tasked with leading the House’s investigation into Russian interference in the 2016 election — and, thus, into the allegation that Trump aides participated in that interference — decided to personally brief the president on some interesting intelligence reports he’d come across. 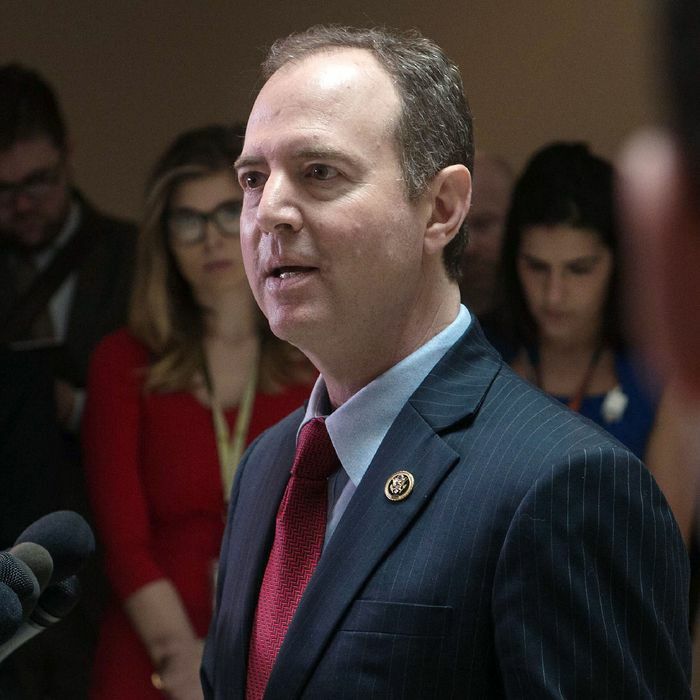 These actions did not sit well with the committee’s ranking Democrat, Adam Schiff. In Schiff’s view, Nunes should feel an obligation to protect the independence of his investigation — not to combat unfavorable media coverage of the president. But Nunes seems to think otherwise: On Friday, the GOP lawmaker abruptly canceled an open hearing scheduled for next Tuesday, at which former Acting Attorney General Sally Yates, former Director of National Intelligence James Clapper, and former CIA Director John Brennan were all set to testify. Nunes explained that the hearing would be postponed, so as to allow FBI director James Comey and NSA director Mike Rogers to address the committee in closed session. Schiff believes Nunes’s true motive is to spare the president a bad news cycle. And he isn’t afraid to say so. The New Yorker’s Ryan Lizza believes Schiff is correct.